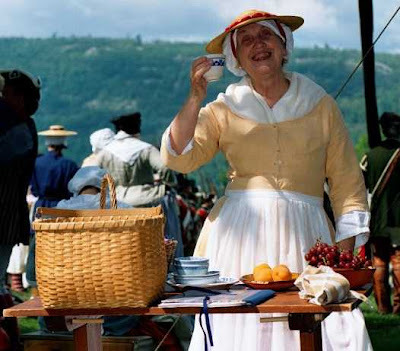 Celebrate the bounty of autumn at the 18th Century Autumn Festival at Senate House State Historic Site on Saturday October 6, 2012. From 11am-3pm visitors will have a chance to see demonstrations of activities that were traditionally done in the autumn during the 18th century including meat smoking, apple cider pressing, making apple butter and blacksmithing. Hands on activities including making cornhusk dolls and action figures, dipping candles and making dried apple wreaths are also available and are fun for all ages. The 1st Ulster Militia will be encamped on the grounds demonstrating 18th century military camp life. Period music will be provided by “Marilee and Kate”. Guided tours of Senate House will be provided by costumed interpreters at regular admission rates of $4.00 for adults, $3.00 for seniors and free for children 12 and under, and members of the Friends of Senate House. All outside events are free. Everyone is invited to attend. 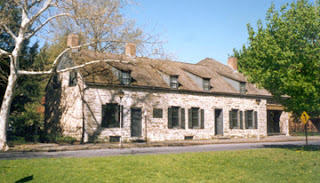 Senate House State Historic Site is located on Fair St. in historic uptown Kingston, NY. Senate House State Historic Site is part of a system of parks, recreation areas and historic sites operated by the New York State Office of Parks, Recreation, and Historic Preservation, and is one of 28 facilities administered by the Palisades Interstate Park Commission in New York and New Jersey. For further information about this and other upcoming events please call the site at (845) 338-2786 or visit the State Parks website at www.nysparks.com.